UNITED STATES: Utility Dominion Energy has launched a grid modernisation programme to integrate 3GW of new wind and solar projects. It has filed a request to approve the programmes, investments and costs for the first three years of the ten-year plan specified under the Grid Transformation and Security Act. The act, which came into effect in Virginia on 1 July, demands Dominion to have 3GW of wind and solar projects in operation or under development by the start of 2022. 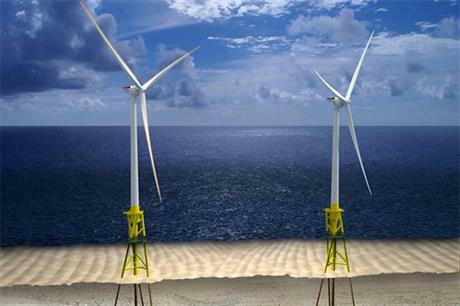 The utility will request approval for a 12MW offshore wind project later this summer, and wind power could eventually account for at least 2GW of this total capacity, according to its website. Virginia currently has no online wind projects, according to Windpower Intelligence, the research and data division of Windpower Monthly. Dominion will either procure or develop the new projects. Ed Baine, the utility’s senior vice president, said: "Dominion plans to develop a system that meets the increasingly complex demands and expectations of our customers — and we are doing it with more renewable energy." Later this summer, Dominion will seek State Corporate Commission (SCC) approval for its proposed Coastal Virginia Offshore wind project – a two-turbine, 12MW offshore wind farm previously known as the Virginia Offshore Wind Technology Advancement Project (VOWTAP). It plans to develop the site – which would be located 43km from Virginia Beach, and which would be the first offshore wind farm in the Mid Atlantic – alongside Danish developer Ørsted, with a targeted completion date of 2020. Dominion described the two-turbine site as "the first phase of a plan that could bring more than 2GW of wind-generated electricity to its Virginia and North Carolina customers". The initial SCC filing covers the addition of 240MW of solar PV capacity and installation of around 2.1 million smart meters in homes and commercial properties. The act also requires Dominion to propose at least $870 million in energy efficiency programs over the next decade, and to upgrade the grid with devices and control systems to boost resiliency.